Condux PE & PVC Pulling Eyes provide optimum gripping power and a watertight design. 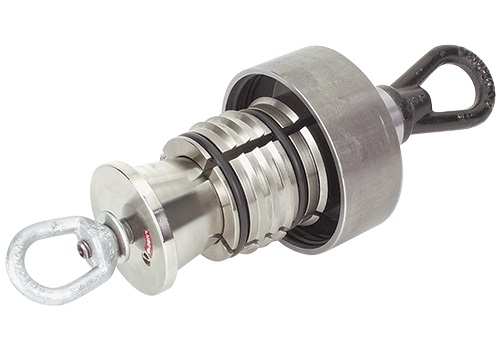 The watertight pulling eyes feature a multiple o-ring configuration, an extremely rigid center rod to prevent bending and a steel tapered lead cone with the same OD as the conduit. These design features protect the outer leading edge of the conduit and form a watertight seal. Condux PE & PVC Pulling Eyes also feature split gripping segments with aggressive gripping threads coupled with a steel expander plug that better grips the full range of conduit I.Ds. Installation of the PE & PVC Pulling Eyes simply requires the leading eye to be tightened. 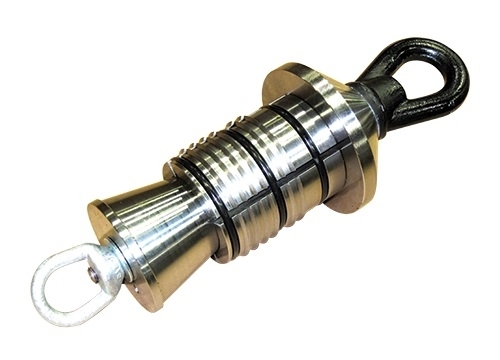 The pulling eyes come standard with attachment eyes at both ends for connecting rope or steel lines. Pull-out strengths generally exceed the tensile capacity of the conduit. See Ordering Information pages 68 & 69.